This article is about Mafia III, but features hints about a new #Bioshock game. This is very exciting. Bioshock is one of my favorite franchises of all time. But Bioshock: Infinite was the weakest game in the franchise, in my opinion. So I hope they don't go that route again. In the midst of all this confusion, some employees of Hangar 13 couldn’t help but look with envy at their neighbors. Next door, a small group of people were working on a project code-named Parkside, quietly recruiting from across the video game industry for a game so secret, they wouldn’t even tell their colleagues at Hangar 13 about it. 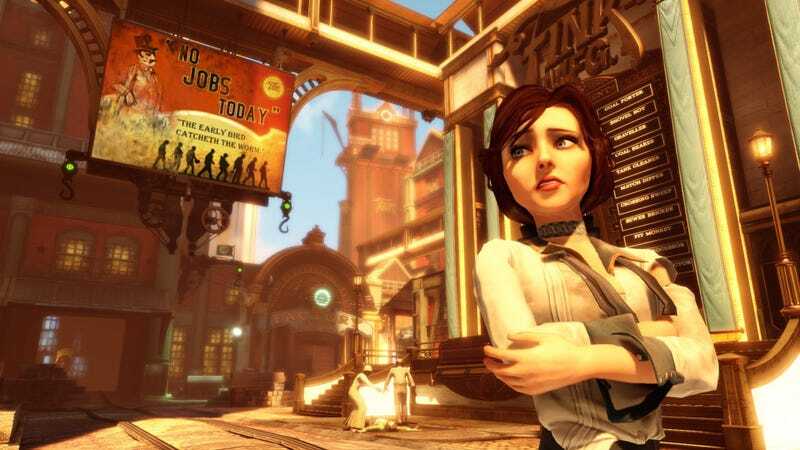 Word got out, though, that it was in fact a new game in one of the most interesting shooter franchises of the past decade: BioShock. People doing stuff for themselves? What an idea.